Now, most of us probably knew it was coming. Or at least hoped it will. 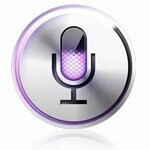 Siri has now been ported to the iPhone 4, but, alas, this is no official Apple undertaking, but the work of Chinese hackers from “CD-Team.” The best part about it is that it works and is available on the iPhone 4 and iPod touch 4G, so be warned that trying it on an older device like the iPhone 3GS is just a waste of time. As you already heard Cydia, you’ve probably rightly guessed that the first requirement for getting all of this to work is to jailbreak your device. After that, just head to the source link below for all the instructions or check out the video demonstrations below. Users have already tried it and have confirmed that it works. Some of them have complained about problems with the camera after installing the package, but allegedly there’s already a fix for that, which again you can find at the source below. Before you get too excited, though, we’d like to remind you that for newbies this might not be easy and it could void your warranty. The rest fellow adventurous geeks can proceed with caution. Hmmm, so the iPhone 4 had the capability to use Siri all along? Why did people buy the 4S again? Because Apple knows that every ignorant fan of theirs is too stupid to figure that out unlike the smarter minority. Or because the utterly and completely rock at marketing, which is to say the same thing. You have performed very well job here. I really like it very much. Thanks. The word is "impractical". And, last I checked, the iPhone had a way to get internet on the device built right in. Something to do with cell towers and satellites. I don't know the specifics, but it sounds super cool. I bet other cellular phones will have it soon too! Siri to me is just a toy to play with..
Siri on the iPad 2!! Would be amazing if they do that! "If it looks the same, how will people know I've upgraded?" LOL, I also don't get it why people are crazy about Siri, I'll hold on to my iPhone 4, thank you. iFans and haters on the left pls. Siri is a joke it was originally on the iphone 4 when it first came out then apple purchased its rights from the original owner and pulled it from the app store so they can make it a special feature for the iphone 4s. A couple of friends of mine have i phone 4 and have had siri for a long time. Honest its a novelty feature. The only time I use mine or see others use it is trying to be cool with friends. Ive never seen someone use it for themeselves. Is your life really that lame you need your phone to have a convo with you. Love the Iphone just wish they had something better for the 4s to make me wanna switch to it. i use it not overly but a lot actually.. its so much nicer to say wake me up at 6 than it is to go and set an alarm.. its also really nice with scheduling appointments and setting reminders because filling out all the time fields and stuff is annoying.. This was covered on RedmondPie, and I feel Phone Arena missed these most important points. Use at your own risk. http://www.redmondpie.com/install-fully-working-siri-on-iphone-4-ipod-touch-4g-using-h1siri-albeit-legally-questionable/ "...the Siri voice commands and speech-to-be-converted-to-text voice files go through an unknown proxy server and not Apple servers." "Hacker chronic has warned everyone to stay away from the tweak because user’s personal data goes through this untrusted server, which may be used for nefarious purposes." "Besides this, the tweak is, technically, illegal. This is because it is using modified copyrighted files that aren’t supposed to be distributed." Well, I'm not a fan of iPhone, but in defense of Siri, all but the most basic of apps for mobile, are toys. Practicality is a stretch for most things beyond browser, maps, messaging(e-mail, txt, im), camera, and phone. Even some of those could be argued about (I'm sure I missed a couple that are practical, too). But that said,toys drive the mobile device industry, that's why we have phone commercials touting angry birds even though it is available on hundreds of devices. So, am I a fan of Siri or think it is at all useful, no. But, if it kills a little time and makes people look at the device, it worked as intended. Being that people are hacking the software to get it to work on older devices, that just proves that it was a win for Apple. I don't understand why so many people still can't differentiate the hardware differences between the 4 and 4S. Yes it has the exterior look. Performance wise, the internals are completely different. It's like comparing a Subaru WRX and a Subaru WRX STI - night and day differences. aesthetically, very similar, but the engine and performance, very different parts and pieces. I understand your pain, but it feels like Siri was meant to be the "killer app" reason to get the 4S over the 4. Since it is now proven that Siri can work just as well on the 4, it remains questionable about what the 4S can do that the 4 can't, besides perform tasks a little quicker and show more detail in games. If jailbreakers figure out that AirPlay mirroring can work well on a 4, I will be elated, but I will also be angry that Apple would not allow this natively. I think it's because we expect Apple to blow us out of the water, and this time, well, they kinda blow the water instead of us. 8MB camera to me as an individual won't make any difference, and the speed, well, I still prefer my good old 4. Upgrading to 4S will be waste of money and time [like I said for me as an individual], and Apple know that if they introduce Siri on 4S only, people [or well iFans] will go buy it and call it the best phone ever [though we all know iPhone without App Store is pretty much useless, but Samsung Galaxy S2 without Android Market is still the iPhone killer]. #JustMyOpinion. Honestly I have to disagree I have a iphone4 and have used a 4s and see no difference at all. Only exception is like stig said in HD gaming you see a little more detail otherwise the dual core did nothing for me but eat up more battery. I also never travel so the global feature is useless and the difference between 5 and 8 mp unless printing a 8x10 photo is not noticable by the human eye. I love the name *TheStig* Off Topic - Can't wait till season 18. Topic - I can't really agree with you there. Performance wise there's only a slight increase with the lens and dual core. It's still a slowed down dual core to work efficiently with slight increase in processor speed. The lens is larger for those who enlarge their pictures and recieve more light for night photos. Nothing else has changed. Car reference - It's like buying a hybrid and slapping a turbo on it. You might get a little faster acceleration but your top speed it still 80. I say hybrid because it's a reliable car and runs efficiently but ultimatly kinda boring. That's how I view the iPhone. Some extremely valid points! I appreciate you writing this post plus the rest of the website is also really good.